Armenia TV(Armenia),AzTV (Azerbaijan) and ZDF (germany)cover UEFA Champions League free-to-airvia HotBird 13°E satellite position. Both Armenia TV and AzTVcover Tuesday and German ZDF coversmatch on Wednesday. ZDF has also the rights to show tuesday match if german team reachs knockout stages of the competition. Vizion Plus (Albania), OBN (BiH) andRTRS (BiH) bring Champions League FTAvia Eutelsat 16°E satellite position. All broadcasters have secured TV rights in their countries for Wednesday TV rights. TRT 1 is a Turkish state-run TV broadcaster. Under the protocol agreement with UEFA, TRT 1 will cover the UEFA Champions LeagueTuesday match unencrypted and live from the saison 2015-2016 until the end of saison 2017-2018. 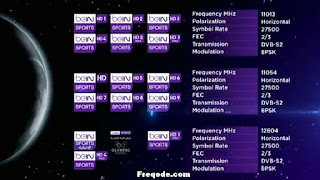 For a satellite viewers TRT 1 is available as a free-to-air channel via Turksat 42°E andEutelsat 7°E satellite positions.